WASHINGTON, D.C., Nov 4, 2011 / — The Postal Service has teamed with one of the nation’s leading companies producing decorative and commercial products to sell the 2011 White House Holiday Ornament at approximately 7,000 Post Offices across the country. ChemArt of Lincoln, RI, has been the sole manufacturer of the annual White House Christmas ornament since the program inception in 1981, and was given exclusive retail distribution rights by the White House Historical Association. ChemArt and the association are proud to present the 36th ornament in the association’s series, which recalls the administration of President Theodore Roosevelt, his wife Edith and the couple’s young family when they called the White House home from 1901 until 1909. 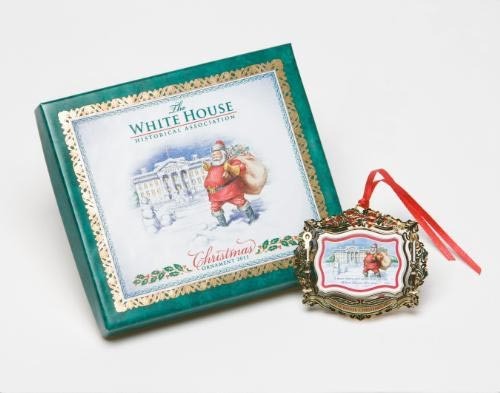 The 2011 White House Holiday Christmas Ornament is now available at select Post Offices until Christmas Day for $24.99. Customers can view an image of the collectible envelope on Facebook at facebook.com/USPSStamps.